It’s the last week of the Nordstrom Anniversary sale! Click here to shop the entire sale. 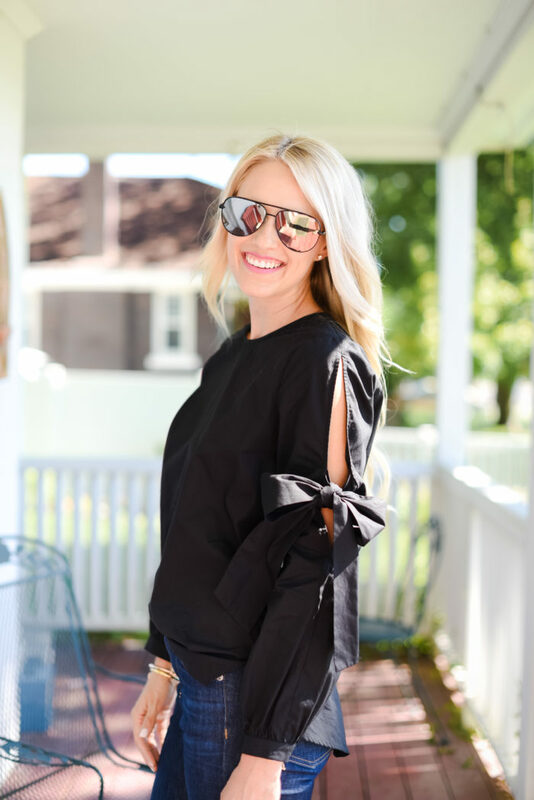 There are many great items still in stock so I wanted to show you some of my favorite versatile pieces that will be worn many times throughout this upcoming winter and fall. 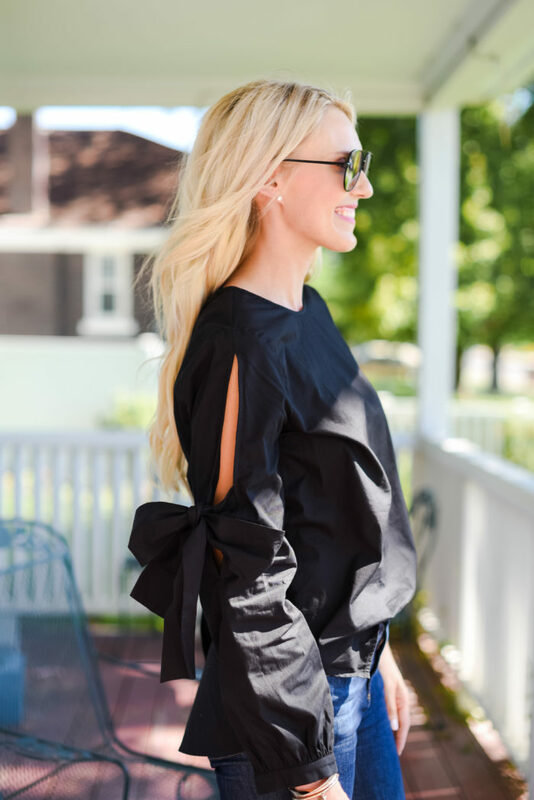 I’m looking forward to wearing this top with jeans (my favorite pair) or tucked into a skirt (like this one or this one on sale). I like that it can be tucked in or out of jeans as well. I LOVE the blue and white stripe color a lot too. And let’s talk about these pumps. They are surprisingly comfortable for pumps that are so tall and I love the stud detail on the back. They give your toes enough room which is a big focus of mine these day since I broke my pinkie toe. The podiatrist told me to never wear shoes that squeeze your toes because it’s really unhealthy for them. Good to know! I’m focusing on comfort! 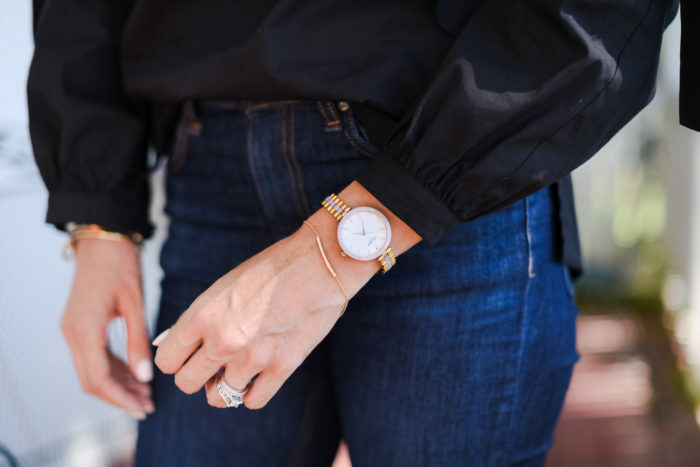 The Nordstrom Anniversary Sale ends on Sunday so make sure to snag those items you have had your eye on!